Private jet charter Washington DC with a custom experience only JetOptions can provide. Whether you are traveling for business or pleasure JetOptions can fly you safely, securely, and in a time efficient manner to your preferred airport of more than 5000 airfields located in the U.S. alone, on your choice of private aircraft. Fly by Private Jet Washington D.C. Flying in by private jet to Washington D.C. there are three main airports serving the D.C. and Baltimore metropolitan regions; with additional smaller regional airports in nearby communities. Depending on your ultimate destination in the capital we can route you to your most convenient choice. 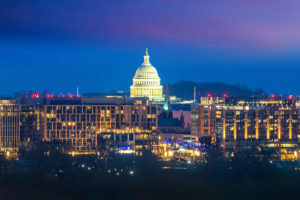 It is essential to keep in mind that there may slight modifications to your private jet charter flight plan for reasons of national security when you fly in or out of Washington D.C. proper’s airspace. The closest airport, located just 3 miles South of Washington D.C., is Ronald Reagan National (DCA) Reagan National. This terminal may be subject to restrictions or closures from time to time due to its proximity to capital structures. With only 40 slot exemptions, flights into and out of DCA are not allowed to exceed 1,250 statute miles in any direction nonstop. Reagan National also has immigration and customs facilities for corporate jet traffic. Keep in mind the only international flights allowed to land at DCA must originate from airports with U.S. Customs and Border Protection preclearance facilities. Total runway length at DCA is 6869 feet, and there are limited fuel services at the Forward Operating Base (FBO), again for reasons of security. In general, it is best to choose another nearby airport. 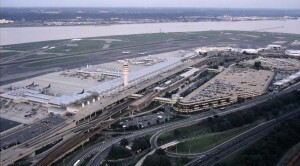 The second airport, Washington Dulles International Airport (IAD) is in Dulles, Virginia, 26 miles west of downtown Washington, D.C. Dulles Airport. Dulles is also the busier of the two closest airports with a landmark main passenger terminal designed by Eero Saarinen. The maximum runway length at IAD is 11,500 ft. and this airport is also home to multiple forward operating base (FBO) facilities with full fueling capability. 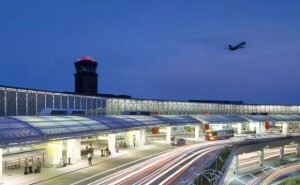 The third airport, Baltimore-Washington Thurgood Marshall International (BWI) is the busiest of the three airports in the greater metro area and the 24th busiest airport nationwide Baltimore Washington. Located north of the capital it is approximately 33 miles away. Runway length at BWI is 10,502 feet, and their Forward Operating Base also has full refueling services. In the event Reagan National Airport is not available for Private Jet traffic, ground transportation is readily arranged in a car of your choice from any arrival and departure location. The last and smallest airport that many of our clients use is Manassas Regional Airport (KHEF) which is 30 miles from Washington DC. As the largest executive regional airport in Virginia, Manassas Regional allows our clients more flexibility since they don’t have to slot for landing behind commercial aircraft. This airport also offers direct ramp access meaning that your vehicle can drive up to the plane. It also has an FAA control tower and US Customs for international flights. Private Jet Charter Rates from Miami to D.C.
From Miami to Washington D.C. flying time is around 2 hours depending on winds. A light jet will cost approximately $6,500.00, and a mid-jet is close to $8,200.00 one way. Private Plane Rentals from Chicago to D.C.
Charter jet flights from Chicago to Washington D.C. average around 1.5 hours and rates on light aircraft start at approximately $5,800.00 each way. Charter Rates from Dallas to D.C.
Flights from Dallas (DFW) or (DAL) to Washington D.C. are slightly more than 2 hours and rates for smaller jets that seat up to 6 passengers starts at around $7,500.00 each way. Jet Charter Prices from LA to D.C. Flying from Los Angeles (LAX) or (VNY) to Washington D.C. will take you just under 5 hours, and if you want to go non-stop, you will need a mid-size jet or larger. Rates on mid-size jets would start at around $22,000.00 one-way. Private jet charter rates to Washington DC examples are based on roundtrip travel returning next day. Prices (USD) can be used as a reference. 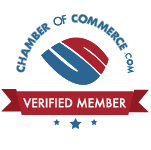 Your rate will depend on your travel requirements and aircraft availability. Prices on private charter flight quotes will include all taxes and fees. Regardless of your city of origin, and whether you are starting in either a location in the U.S. or an International arrival, JetOptions Private Jets are experts at finding you an aircraft that will fit your qualifications and budget. Our planes are Wyvern, and Argus rated for your safety and security. We never sacrifice quality, and our client’s satisfaction is always our top priority. That’s why our customers continue to book their flights with us over our competitors, and even refer their friends, family, and colleagues to JetOptions Private Jets. Experience the difference today. Wherever your travels may take you, JetOptions Private Jets friendly professionals are here to assist you 24 hours a day. Call us at (888) 535-9538 [888-5-FLY-JET] or obtain a no obligation quote by email today: Private Jet Charter Quote Request. For our discerning clientele, we are presenting the top best hotels in the District. Once you’ve arrived in Washington D.C., The Five-Star Jefferson Hotel awaits your arrival The Jefferson. Located just north of The White House, The Jefferson was designed under the principles of its namesake, Thomas Jefferson. With thoughtful design, this 95 room property features elegant guest rooms and twenty specialty suites. The penthouse level has only two rooms, The Thomas and Martha Jefferson Suites. There are 18 additional suites on separate floors, and Classic, Deluxe, and Premier Room categories all featuring different appointments and views of the city. Guest room and public areas include art and historical documents from Jefferson’s Private Collection. Modern amenities include everywhere Wi-Fi for business travelers, a small spa for relaxation, and personal service. For our guests traveling with pets by private jet, this hotel welcomes them with pet-friendly accommodations and dog beds as needed. Fine dining is in the hotel at The Plume Restaurant. U.S. Capella property is a boutique style hotel that assigns personal assistants to each guest for 24-hour service in advance of their arrival. With an infinity pool on the rooftop deck, and a guest only living room for drinks or refreshments, this top-rated Georgetown hotel is also an excellent choice for a visit to Washington D.C. Their canal-side restaurant, The Grill Room is recognized for their fresh menu, steaks, and seafood and is on two of Zagat’s rated lists in D.C. If you’re traveling with your pet, they are welcome at The Capella. The 3rd highly ranked hotel is also located in the Georgetown district of Washington D.C. nearby to shopping, dining, and nightlife. The Ritz-Carlton Georgetown is listed in the 50 Best U.S. Hotels. 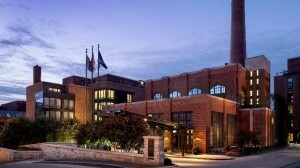 Housed in a former industrial incinerator building complete with smokestack the 86 room boutique hotel is a unique property. Equipped with 11 premier level suites, 16 additional one-bedroom suite rooms and their five luxury suites, the Royal Potomac, the Ritz-Carlton, the Presidential Suite, the Ambassador Suite, and the Georgetown Suite, guests are sure to find rooms to fit their liking. Pets under 35 pounds are welcome as guests of the hotel. Their on-site restaurant Degrees features gourmet American Regional Cuisine, and the Petite Spa is available onsite for guest appointments. DC is home to many Michelin Star, Zagat Rated, and Diamond Award-winning restaurants. There are many to choose from depending on your tastes. Located near historic Ford’s Theatre, Minibar by Chef Jose Andres has been called the “America’s Foremost Spanish Chef” by Wine Spectator Magazine Minibar by Jose Andres. Bourbon Steak in the Four Seasons Hotel is a Michael Mina restaurant featuring line-caught seafood and poached butter meats Bourbon Steak DC. Restaurant Nora is America’s first certified organic restaurant and a pioneering leader in natural restauranteering led by its Chef Nora Restaurant Nora. Juniper at the Fairmont Hotel serves honey and honeycomb items on its menu from the beehives on the top of their restaurant Juniper DC. Wolfgang Pucks The Source features Asian fusion cuisine in a three-level restaurant located inside The Newseum on Pennsylvania Avenue Wolfgang Puck’s The Source. The Inn at Little Washington is located in nearby Virginia and takes reservations up to one year in advance. Helmed by Chef Patrick O’Connell this restaurant is worth a visit outside of D.C. Metro and the property is also an award-winning hotel in its right The Inn at Little Washington. Rounding out our list is Plume Restaurant at The Jefferson Hotel featured above with the hotel. Any visit to the District of Columbia would not be complete without a visit to one of the many historical sites, museums, monuments, and national parks. Some of the most well-known and iconic attractions are located on or nearby to the National Mall. National Park Service DC. From the base of the US. Congress running all the way to the Potomac River this 1000 acre national park is known as the front yard of the United States. Housed within it are the Washington Monument, the Lincoln Memorial and Reflecting Pond, World War I and World War II Monuments, the Thomas Jefferson Memorial, the Korean Veterans Memorial, the Vietnam Veterans Memorial, the Martin Luther King Jr. Memorial, and the Franklin Delano Roosevelt Memorial. The White House is America’s most famous address located at 1600 Pennsylvania Avenue. Visitors wishing to tour the interior must submit their request through their congressperson at least 21 days in advance or up to 6 months of the day they want to visit. The Kennedy Center is located on the banks of the Potomac River and is open for tours of the performance halls and art collections, in addition to the many performing arts events taking place here daily. The Center is also the home of the National Symphony Orchestra, the Washington National Opera, and the Suzanne Farrell Ballet. Schedules posted at The Kennedy Center. Art aficionados and students may appreciate a visit to the National Gallery of Art. Located on the Northeast corner of the National Mall the Gallery collections are housed in two buildings. One building features collections from the 13th to 18th Centuries and the second features the Gallery’s collection of Modern Art. The outdoor sculpture is a permanent feature along with many other traveling or limited-run exhibitions. Current details of shows are found on their website at National Gallery of Art. Possibly one of the most famous museums and also the largest, The Smithsonian Institution is an entire complex of 19 distinct museums, nine research centers, the National Zoo, and other affiliates located around the world. From the famous gardens and the landmark institution building also known as “The Castle” built in 1847 that now serves as an information center for visitors to the compound and headquarters building. 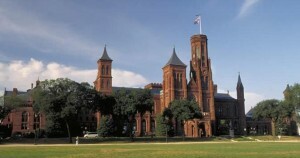 A full list of facilities and hours is available at Smithsonian Institution. Home to many public and private golf courses these are some of the most scenic places to play in and around Washington D.C. East Potomac Golf Course is in the middle of Memorial Parks District. Managed by the National Park Service this course offers stunning views of Washington and other monuments from its nearby fairways East Potomac Golf Course. Located at the end of Rock Creek Park the Rock Creek Golf Course is approximately 20 minutes from the Georgetown district. This historic course features park views and wildlife with foxes, hawks, and deer all making appearances as you move through the fairways Rock Creek Golf Course.